SPIE Optics and Photonics is the largest interdisciplinary technical conference in North America focused on research and technologies in solar, nano, optics, photonics, and space optics, and draws scientists, researchers, and engineers from around the world. View a list of recommended papers. 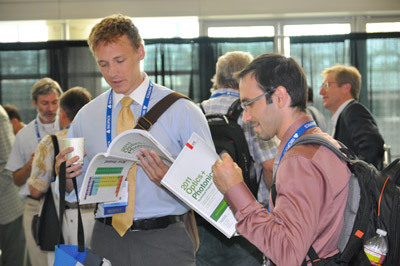 Download the SPIE Conference mobile app for iPhone or Android devices.